From Goodreads: Inquisitive 13-year-old Lily Winter finds herself in the Moon Realm, the setting of her uncle’s long-ago bedtime tales. Separated from her brother Jasper, armed with only her wits and the Moon Coin, Lily must find her way through worlds much darker than any tales Uncle Ebb ever told. Illustrated by Carolyn Arcabascio. 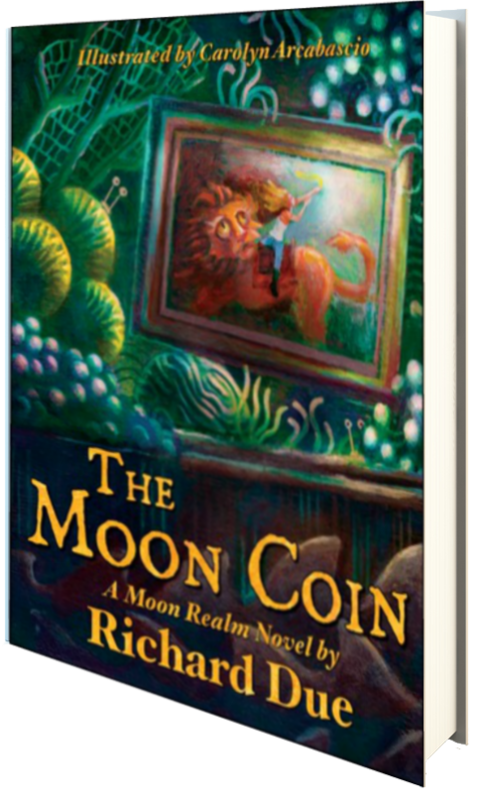 Full of fantastical worlds, animals, and entities, The Moon Coin takes readers on a magical adventure they won’t soon forget. With beautiful illustrations and a plot that definitely keeps the reader engaged, this is a story that I highly suggest all lovers of fantasy pick up, regardless of age. It reminds me, in a way, of The Chronicles of Narnia series—jumping between realms with vivid characters, non-stop action, and an easy to follow, yet mesmerizing, plot. Though I personally have found that my tastes are moving away from that of fantasy, I still really enjoyed this novel; it’s characterization was great, and the story itself was extremely intriguing. Though Lily is just 13 years old, she is wise beyond her years, and she comes across as a very mature protagonist as the story evolves. I really enjoyed getting to know her, and her caring and laid back attitude made me connect with her almost immediately. Though she’s lost in a world that is not her own, and there are those out to destroy her, she keeps a level head, and with the help of her friends and the creatures inhabiting the moon realm, she learns many things about herself and others, adding to the abounding themes within the novel. This is a great read, definitely a novel for MG and lower YA readers who love fantasy, though I highly suggest it for the older crowd as well. Three and a half stars.